Twig is designed to provide easy and powerful access to directory servers allowing system administrators to perform quick searches and modifications while on the go. Twig has been tested against Active Directory, OpenLDAP, ApacheDS, and Sun Java System Directory Server. 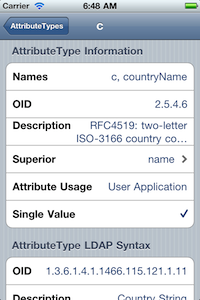 The ability to open an LDAP URL from other apps. Support for simple and SASL (DIGEST-MD5 and CRAM-MD5) binds. A search tool for searching the directory. A directory browser for navigating the directory. A directory editor with schema checking. A schema browser for viewing and searching the directory schema. The ability to organize directory profiles into groups. 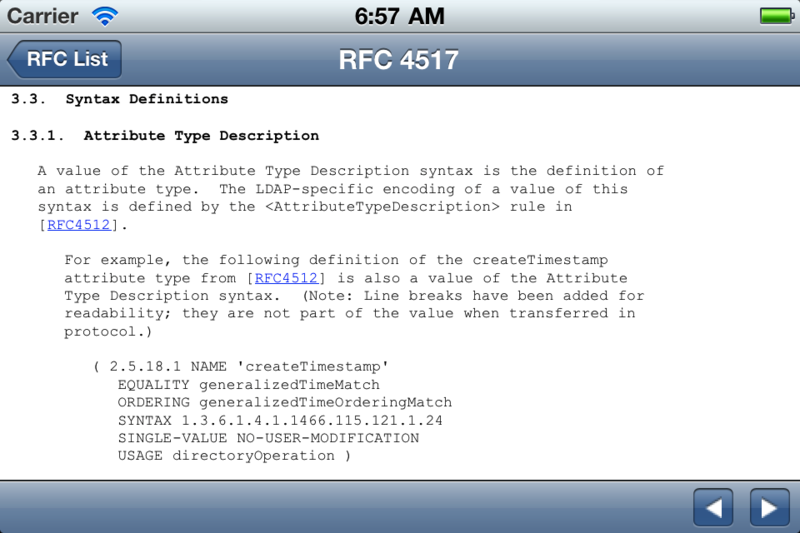 Includes a library of LDAP related RFC. Copyright © 2012 Bindle Binaries. All rights reserved.